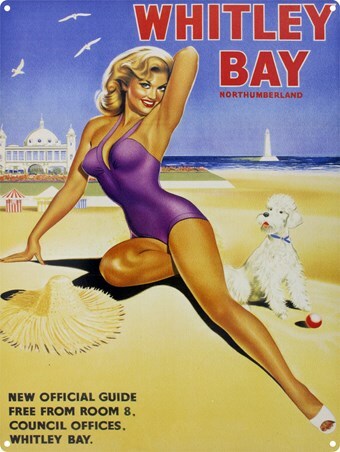 Advertising Art Poster: Inviting you to visit the town of Whitley Bay, this striking advert is host to a beautiful woman who seems to be more than happy at the beautiful bay on the North East of England. The pure white building, lighthouse and quaint beach huts in the background of the illustration capture the beauty of the seaside town and would encourage anyone to visit. 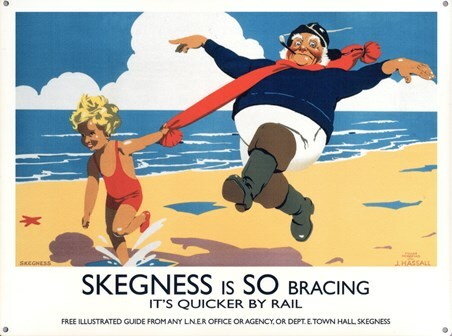 This informative poster also lets people know they can pick up an official guide to Whitley Bay at the council offices, so you will never be short of things to do on your visit. 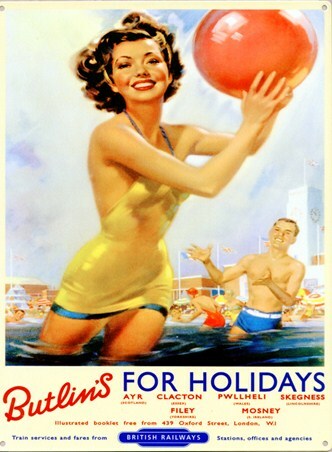 A Fantastic piece of vintage advertising that will remind you of holidays from the past and add some sun, sea and sand to any room. 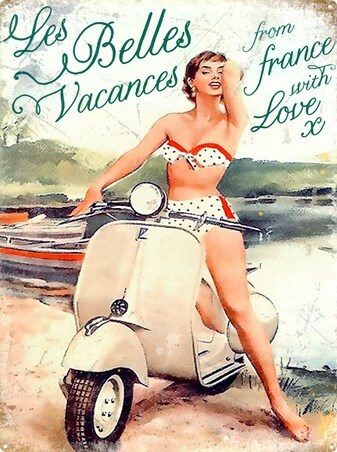 High quality, framed Whitley Bay, Vintage Advertising tin sign with a bespoke frame by our custom framing service.